Environmental Prospect editor William R. Jordan III is widely recognized as an intellectual leader in the field of ecological restoration. In the course of a career spanning 37 years he has played a key role in the shaping of ideas about the value of restoration as a conservation strategy, a technique for basic research, and as a performing art and the basis for a “new communion” with nature. He was the founding editor of Ecological Restoration, the first journal devoted specifically to restoration (1981) and was a founding member of the Society for Ecological Restoration. He is currently director of the New Academy for Nature and Culture and co-director of DePaul University’s Institute for Nature and Culture. 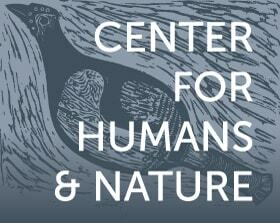 A Non-Profit dedicated to exploring the relationship between humans and nature.